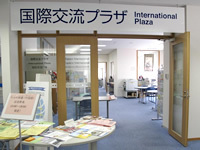 The Utsunomiya International Plaza (UIP) is a place where people of different nationalities can interact freely, and that provides foreign residents with a wide variety of support services related to all aspects of everyday life in Utsunomiya. 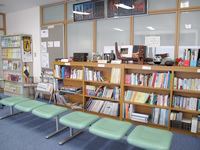 There are a consultation desk, "Exchange Corner", "Information Corner" and "Internet Corner". The Utsunomiya City International Association administers this facility on behalf of Utsunomiya City. Please feel free to visit the International Plaza. Multilingual consultation services are provided for foreign residents. For the consultation schedule, please see the table below. 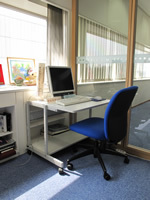 Consultation by phone is also accepted (Tel: 028-616-1564). Tel: 028-616-1564 15:00-18:00 Mon. Tue. Wed. Fri.
Tel: 028-632-2834 9:00-12:00 Thur. 2nd Thur. International Plaza 15:00-17:00 Consultation with Administrative Scriveners　3rd Mon. This area is designed for small meetings and gatherings. 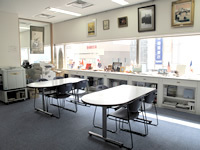 The meeting room, which holds roughly 30 people,can be used for activities promoting international understanding and exchange. The party takes place on the 4th Sunday of every month to provide people of different cultural backgrounds with the opportunity to meet and mingle with one another. A bulletin board is available to exchange information freely. In addition, this area is stocked with UIP's monthly newsletter Oh-i! and other resources useful for foreign residents and cross-cultural activities. The Internet can be browsed in six languages (Japanese, English, Chinese, Spanish, Portuguese and Thai).